Venezuela's economy is in freefall. Hyperinflation, power cuts and shortages of food and medicine are driving millions of Venezuelans out of the country. And yet the man many blame for the dire state of the nation, Nicolás Maduro, is about to be sworn in as president for another six years. So what is going on with Venezuela's economy, how did it get to this point, and what have Mr Maduro and his government done to halt the country's decline? Venezuela's currency is losing its value and prices are soaring - at speed. This is called hyperinflation, and means the prices of even the most basic items have skyrocketed. Choose a format. New content will appear below. Mainly because Venezuela put almost all its eggs into one basket: oil. This meant that when oil prices dropped back in 2014, so did the country's ability to import items, causing costs to rise. What has the government done to combat the problem? Venezuela's government took five zeroes off its currency and gave it a new name back in August. It has also raised the minimum wage. A lot. 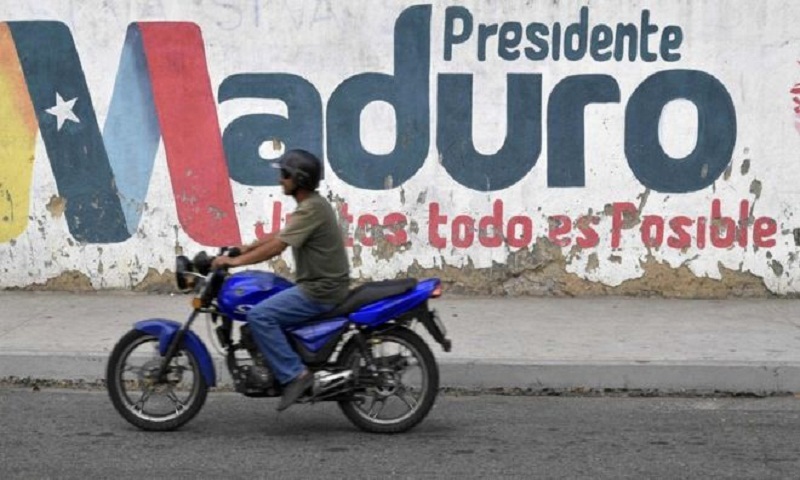 Many blame the Socialist government led by Nicolás Maduro. Many, but not all: Mr Maduro is being inaugurated for his second term after winning re-election in 2018. What is happening to regular Venezuelans? Many people have been voting with their feet, with three million Venezuelans leaving the country since 2014. The government has said the figure is lower. What about the people left behind? Those who have chosen to remain in Venezuela are still facing empty supermarket shelves, deadly power cuts, a lack of access to medication and employers worrying about how they will pay for a 60-fold rise in the minimum wage since August 2018.